Gay Love Spirit macht sich für das dritte Kuba Abenteuer bereit. 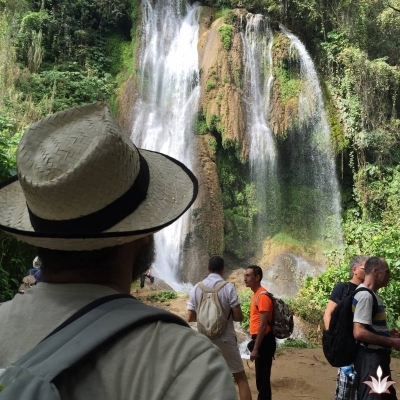 Zunächst sei gewarnt: Warte nicht zu lange falls du Kuba besuchen willst. Das Land ändert sich rasend schnell. Kuba ist ein sehr geheimnisvoller Ort mit vielen Wiedersprüchen. Kubanische Zigarren, Salsa, wunderschöne Männer, traumhafte Strände, Städte im prächtigen Kolonialstil – und nicht zuletzt eine nach jahrelanger Unterdrückung aufkommende schwule Szene. Kuba hat sich zu einem angesagten schwulen Reiseziel in Latinamerika entwickelt. Möchtest Du mit uns kubanische Männer, Künstler und Musiker kennenlernen und mit uns dieses wunderbare Land auch durch ihre Augen entdecken? Dieses Mal kombinieren wir Havanna mit dem Süden. Zunächst werden wir Havanna aus verschiedenen Perspektiven entdecken. 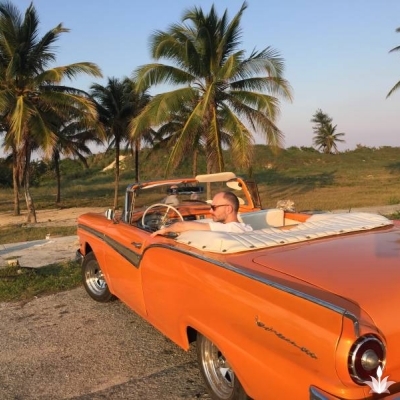 Nach ein paar schönen Tage in Havanna fahren wir nach Santiago de Cuba, dem Geburtsort vieler kubanischer Bands. Day 1: 4th January. Morning and afternoon: For those of you arriving in the morning or afternoon, Anniel will take you on a walking tour of the Malecon. Being at the seaside is perfect to unwind from your travel. Evening: Most of you arrive in the evening. We’ll have a lovely welcome dinner in our casa by our hosts Erick and Anniel who run the guesthouse. Day 2: 5th January. 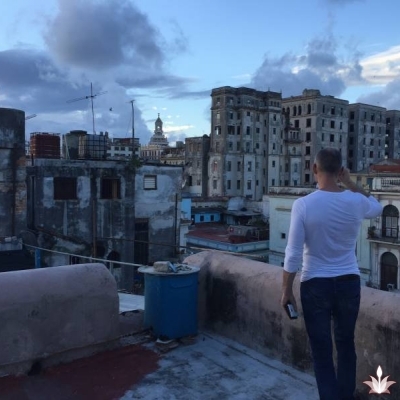 Morning: We have a morning tour of Havana Vieja, the old colonial heart of the city, with the focus on gay history. Anniel will tell us about the repression of gay men in Cuba. Afternoon: After lunch we will learn you how to use the collective taxis, an experience by itself. It’s an easy way to get around if you know how. 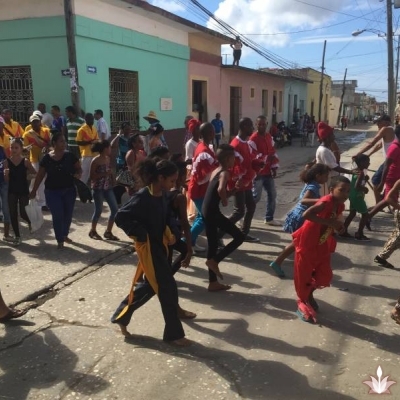 We will go to the Parque Almenderes, where Cuban families hang out. For sure you will get a lot of attention and chances to interact. Tourists don’t venture so far out of the city. Evening: Erick will take us to one of the music venues in Havana Central/Vedado where he regularly performs.. There we will eat and drink together with the locals. A bar tender will explain us how to make the perfect Mojito. Today we will go to the gay beach. We’ll leave in the early morning and come back towards the evening. It’ll be pleasant and exciting. Evening: Tonight we have the workshop „Find yourself, love yourself“ at the casa, together with men from the last years and friends of Anniel and Erick. 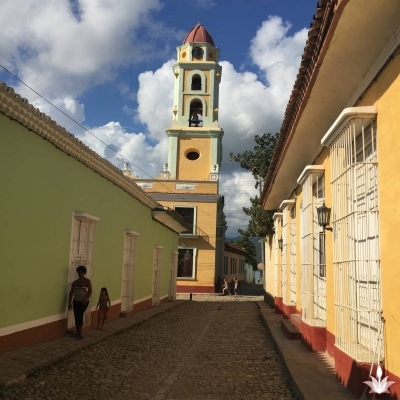 Day 4: 7th January Today we drive with a private car direction south, towards Santiago de Cuba. The end stop for today is Camaguey, which already will be a lot of hours in the car, around 8, not including the stops. On the way we will stop to visit some local farmers and some friends of Erick and Anniel. 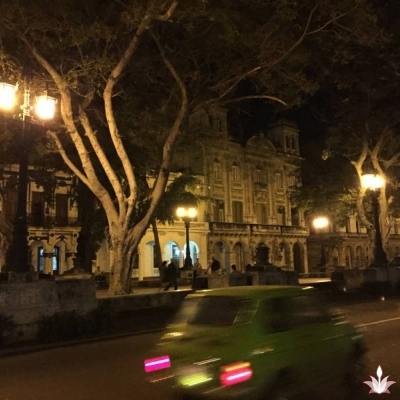 Evening: Anniel will give a guided tour of Camaguey, a far more authentic big city than the other places in Cuba. There are still plenty of horse carts around in the city and local food. Today we continue our road trip till we reach Santiago. We will have several stops along the way. The road trip itself is 4,5 hours, not including the stops. Evening: We will hang out on the terrace of the house of Osmar, with a nice drink. Morning: This morning we have a guided tour of the centre by Anniel with the main highlights. As Anniel is born here, he knows the city inside out. Anniel will find you a family run restaurant for lunch, in one of the back streets of the main market square. After lunch we will walk through the Tivoli area. We will visit some places where musicians are jamming. You will get a chair offered and be part of the event, even if you just clap along with the rhythm. Some of the locals might invite you for a dance, be prepared. We go for dinner back to the house of Osmar who is an excellent cook. Evening: Erick will do a private performance for the group. Morning: Near the casa particular of Osmar there is Finca "La Aurora", a private farm where the owner Pepin Trepó and family rent out their horses. The horse ride tour will take most of the day, riding through the mountains. This will be a beginners level. Evening: By the evening we will be back in the casa where Osmar will give us a cooking workshop together with a local chef. That will take the rest of the night as of course there will be also desserts and cocktails made. We will go to the Bocanoa beach. Morning: Today we will venture further out of the city to the Cathedral of the Virgen del Cobre. Lunch will be a in local place, Hospedería El Cobre located in the back site of the cathedral, run by the nuns. Afternoon: We will go for a hike to Monumento al Cimarron. The view from there is wonderful. Evening: After dinner we will visit some of the local bars in the suburb where the casa is located. We might run into a few cool music-bands. Morning: Today we take a scenic boat trip to the castle Del Morros in harbour. The boat will be packed with local families, so be prepared for a lot of attention from the children. We will eat lunch in one of the simple, but delicious restaurants below the castle, a phenomenon started since people where allowed to run private restaurants. Afternoon: We visit the castle and take the boat back. Dinner at the casa. Evening: As this is our last night, Osmar will invite some local musicians to perform on the terrace. 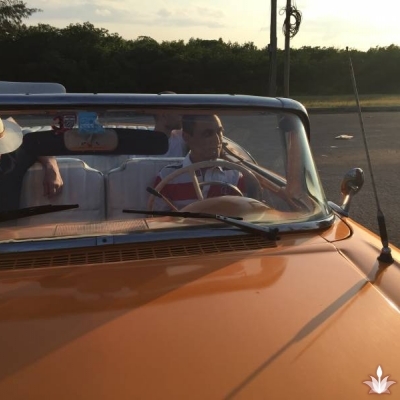 The long drive back to Havana. Today we drive all the way back to Havana, 12 hours on the road. We will make a few short stops on the way. Expect to arrive late in the big city. We can still hang out on the balcony, for those who are too excited about all the impressions from the road. Afternoon: We visit the house of Hemmingway and a village of artists and artisans. Day 13: 16th January Morning: We will first have a visit of the local markets near the FOCSA building. Anniel will explain us about the different products used in the Cuban cuisine. We will buy vegetables, in pesos of course. 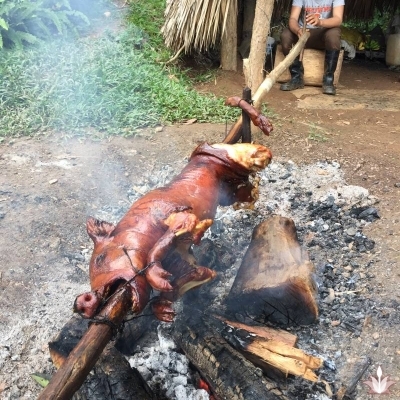 For lunch we will go back to our casa where Anniel will demonstrate his cooking skills with a few recipies from the South of Cuba, a nice change from the Havana food. 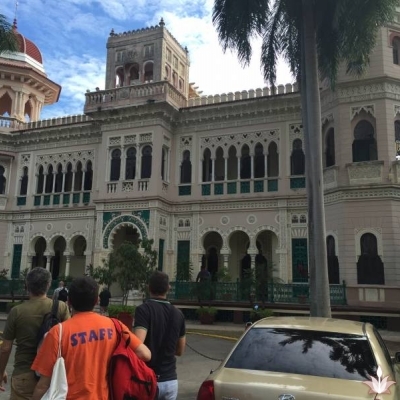 Afternoon: We will have a walking tour through the Central district, the area around the casa particulares, which is far less touristic than the Old Town or Vedado, and hence mostly not renovated. Welcome in the Cuba from years ago! We will walk around in the Barrio Chino and other typical neighbourhoods. We will stop in a few local places to have a rest and cup of coffee. Towards dinner time we will be closer to Vedado, where we will find a lovely small restaurant for you. Get your pesos ready! Evening: We will explore the gay bars on La Rampa. It will be all about bar hopping and socializing. 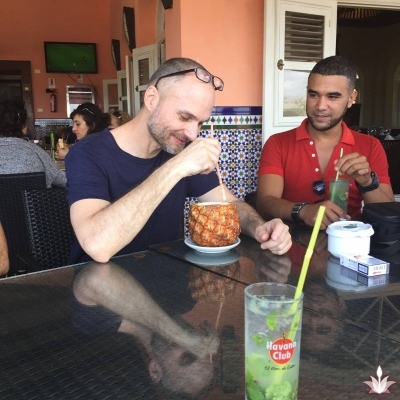 Many young Cuban gays have learned English and are eager to practice, so be prepared for a lot of talking. Day 14: 17th January Morning: We head to a very non-touristic part of Havana Central to meet up with some artists, often working in tiny run down workshops. 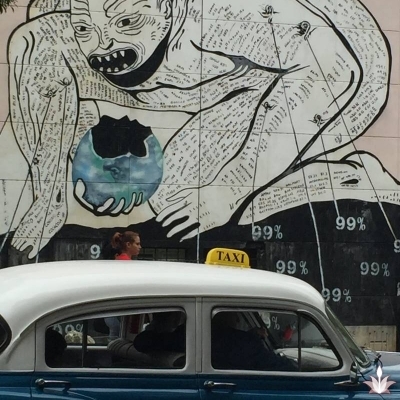 Some of them are also active in the street art scene, a rather new phenomenon in Cuba. Lunch will be street food Afternoon: We will visit the fortress at the other side of the bay and walk through a few neighbourhoods over there. 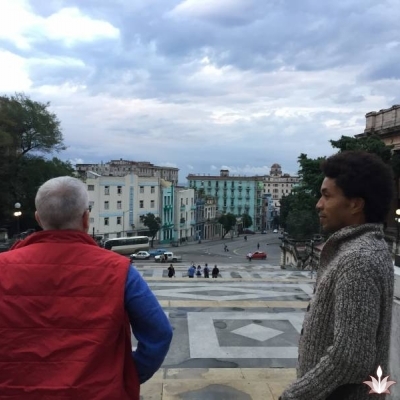 The price include overnight stays in Casa Particulares in a double room (sometimes shared large bed) in Havana, Santiago de Cuba and the other visited locations, guided tours, entrance fees on the guided tours, transport in Cuba, and the workshops.